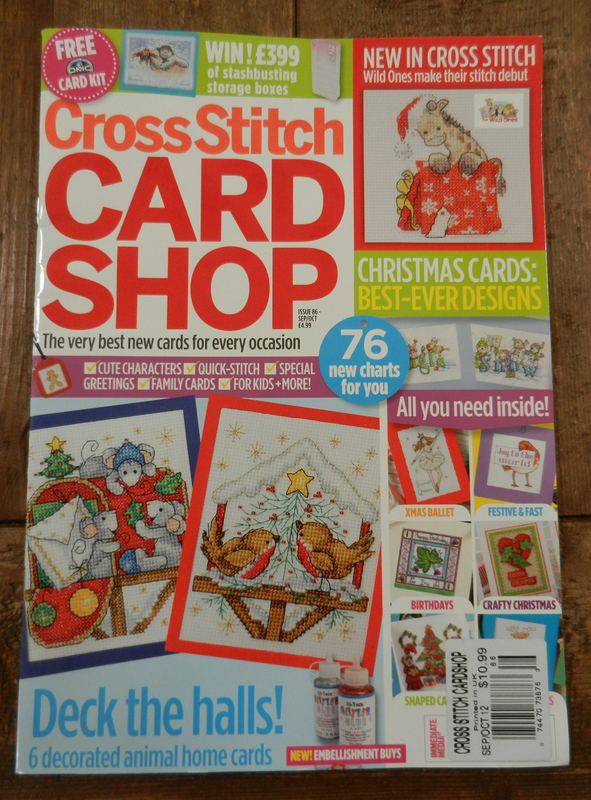 I thought it was fun to see the “Cross Stitch Card Shop” magazine right after I posted my card making blog post. The patterns in the magazine fill up the entire face of the card which are beautiful, but I don’t have that much time … I would probably finish only one! I always think on a smaller scale of just “Happy Birthday”, “Thinking of You” with a cute flower or heart, sew that onto a cute scrap of fabric, onto the card … add some buttons ?? The ideas are endless and fun and fast! Just looking at all of the patterns in my haul of magazines is almost frustrating! I need more time to stitch!! I’ve recently taken on more “real” work and my stitch time is way down. But … if you think about it, we get the benefits of a magazine from this site! “Stitching The Night Away” has patterns, information, supplies, blog hop, etc.. It’s our online magazine! Thanks Loretta for providing such a great place for all of us cross stitchers to come together! Thanks for the reply txlassy! I wish more American Made Magazines were at Barnes and Noble! I would definately buy those first! I like the idea of STNA being an online magazine! Years ago I actually wanted to publish a print magazine under the name Stitching the Night Away as well, but getting it going was so expensive that I put the idea on the back burner. I almost never see stitching mags locally, even at B&N. On a good day I’ll find JCS and Stoney Creek. Me too! 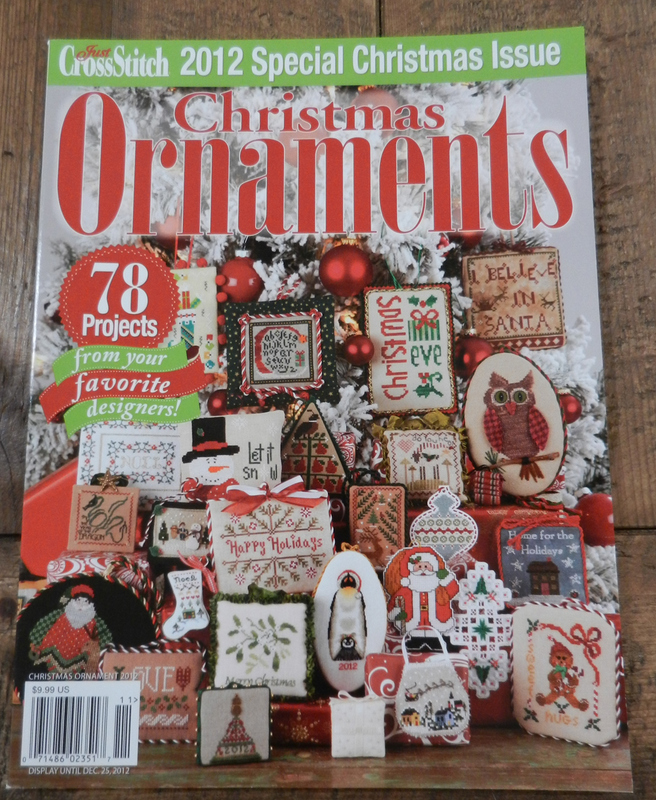 Now that Border’s is gone, I go to Barnes and Noble as often as my piggy bank will let me… I especially like all the cross stitch, quilting and craft magazines they have. Magazines. I AGREE! The UK ones are beautiful but they are about $11/magazine where I live. There is one American magazine I can get where I live but they only order about 10 of them so if you aren’t there to get them early on there is no to be had. 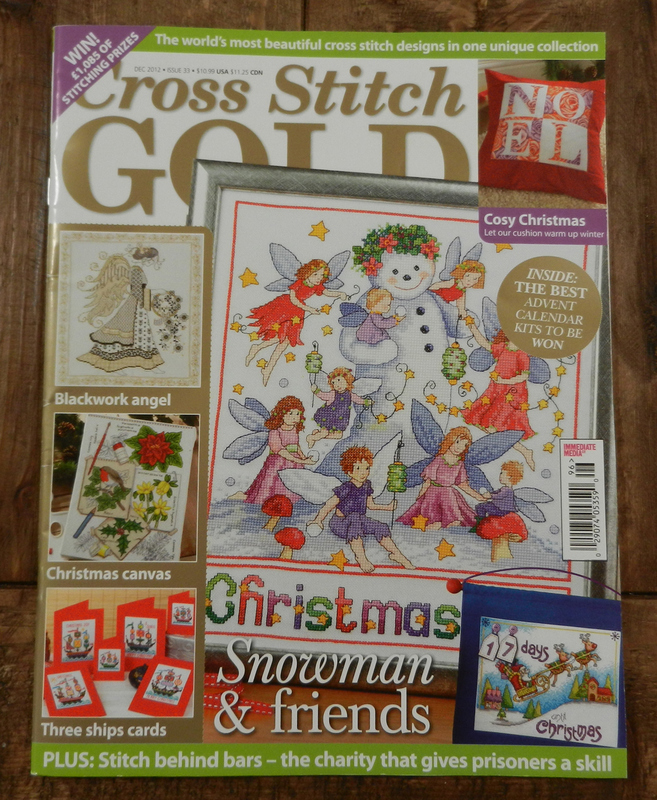 The country stitching magazines don’t have the same appeal and timeliness that traditional stitching or contemporary designs have. I find the color palette with the country stitching to be repetitive, but hey that is just my two cents. Which in Canada, as of today, will be outmoded. We have officially given up the penny! 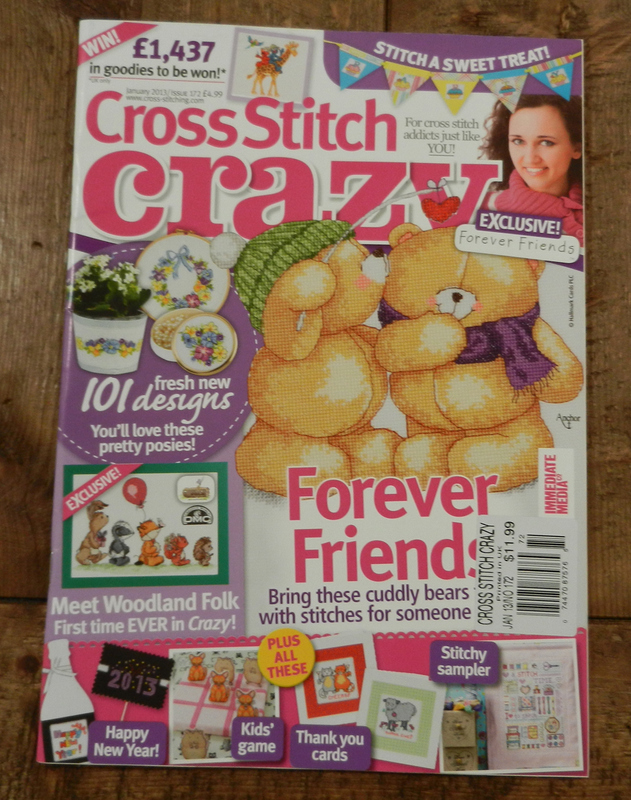 I used to subscribe to so many cross stitch magazines and when I didn’t, I always purchased them at my local stores. I have boxes of them and I am always saying that I can’t wait until I can retire and I will never be bored! But there just isn’t the wide selection that there used to be and even in Syracuse NY where I live there isn’t small shops like there used to be for at least 10 + years now. What happened??!! 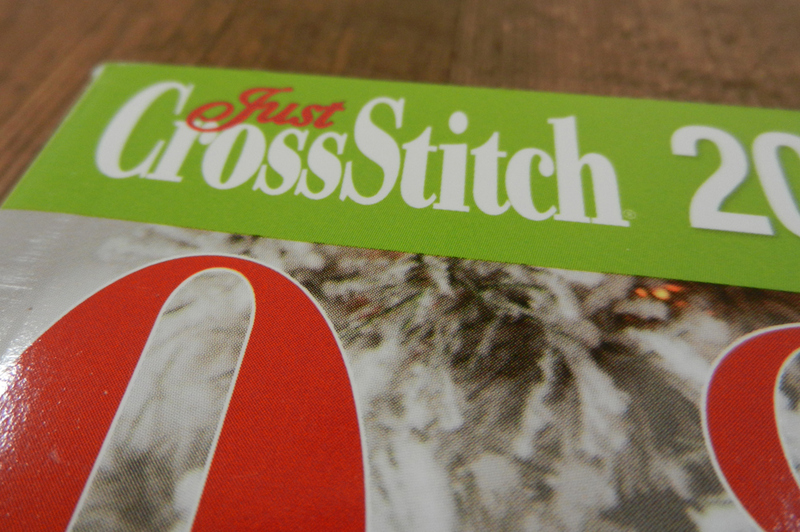 I have subscribed to CrossStitcher Magazine for a little over a year now. I consider it my one splurge and I love the monthly gifts. I buy my UK mags at JoAnn’s. They’re almost always 10% off and then you get times (like this coming weekend) when you have a coupon for an additional 20% off your entire purchase. That makes getting the mags much more affordable. 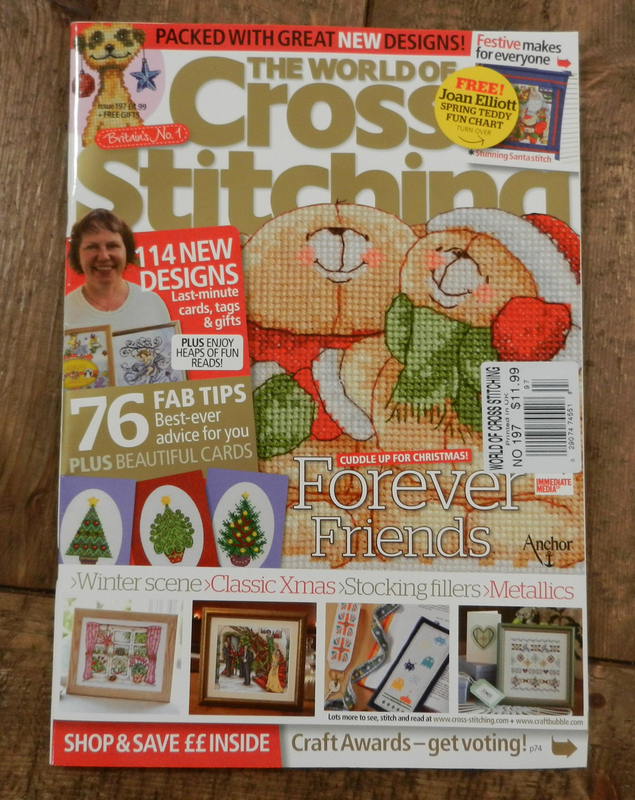 OH, and CrossStitcher Magazine is my absolute fave!!!! I would like to purchase World of Cross Stitch on a regular basis, but it’s quite expensive. The copy I bought was $15 CDN. Yikes! Thanks for the idea/reminder Kelly! I forgot about using my JoAnn’s coupons! 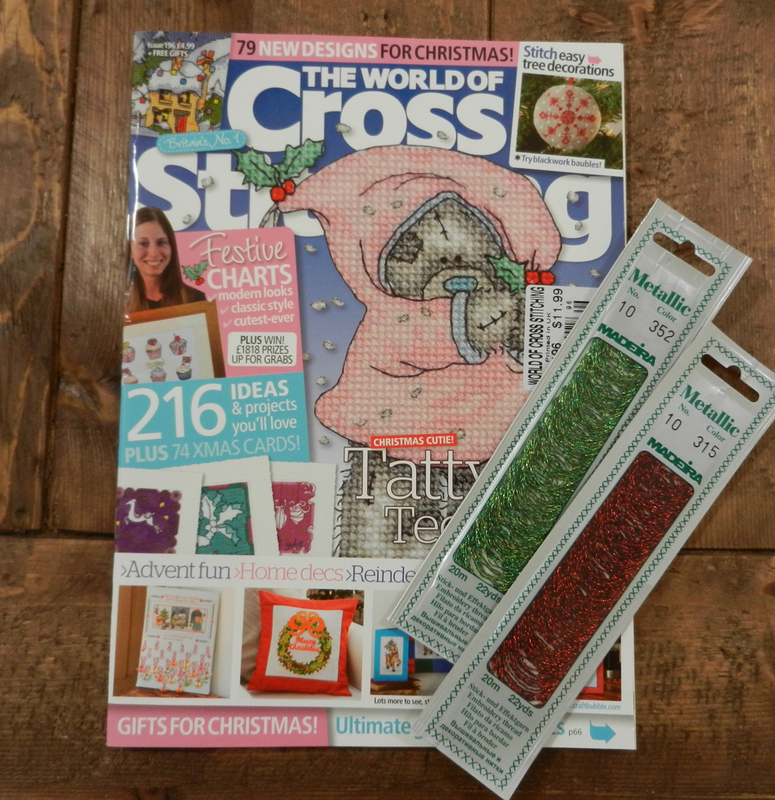 I too find the World of Cross Sttiching magazine along with the other UK magazines expensive.